This entry was posted on May 19, 2016 at 11:52 PM and is filed under the bad. You can follow any responses to this entry through the RSS 2.0 feed. Responses are currently closed, but you can trackback from your own site. Randeep Hooda is an exceptionally gifted actor and has clearly put in a lot of effort to get into the skin of the character. But he is let down by the creative choices that the writer (Utkarshini Vashishth) and the director make on his behalf. Richa Chadha chews up everything in the frame every time she is allowed some elbow room. Unfortunately, she has only two and a half scenes at best in which to display her wares. It is obvious that the strategy is to not let her upstage the ‘bigger’ star. With the star not shining all that bright and the actors in the mix not allowed to play the game their way, Sarbjit is a well-meaning outing that fails to do justice to its subject. Watch it only if you are an Aishwarya Rai-Bachchan fan no matter what. Azhar had a low first week of 28.25 crore nett as the collections fropped on the weekdays after a not so good weekend. The first collections are still better than the lifetime collections of all Emraan Hashmi film since Raaz 3 barring Hamari Adhuri Kahani which grossed 33 crore nett. It should be able to edge past that film in the next week or so. The film fare best in Nizam / Andhra with a little under 2 crore nett. Mumbai clocked a figure of around 9 crore nett while Delhi /UP was 5.75 crore nett. The film should have done better but Saturday proved to be a big let down as the film just did not grow and after that it was always going to be difficult. The film should continue in theatres till the release of the next big film Housefull 3 in a couple of weeks time but collections will be low. The Jungle Book continued with incredible collections having the third highest sixth week collections of all time. The film was only behind Gadar and 3 idiots. The highest grossing sixth weeks of all time are as follows. The total business of the film is around 181 crore nett plus and the film may still have another 2-4 crore nett to come. The footfalls of the film have crossed 1.75 crore. Is The Craze Of Sultan Unparalleled As It Has Even Made Rajnikant Starrer Kabali Change Dates Because Of Its Dubbed Tamil Version. Q. Is the craze of Sultan unparalleled as it has even made Rajnikant starrer Kabali change dates because of its dubbed Tamil version. Ans. Thats highly unlikely. Kabali is a craze like no other in Tamil Nadu and other parts of South and Sultan can’t compete there. If decisions are made they will have nothing to do with Sultan. But in the Hindi markets Sultan craze is huge and could build further with the theatrical next week. The film and music is carrying fantastic reports. Q. Is Tiger Shroff the only actor of the new generation who is a big star with the single screen audience? Ans. You don’t become a big star with that audience in just two films. Its a body of work which establishes you there and that takes time. Nothing can be judged after two films probably not even five unless collections are high consistently. Q. What is the business of Nil Battey Sannatta and Traffic as bot had excellent reports but weak cast and promotion may have held them back.? Ans. Big difference between public reports and reviews and it is th latter that both films had. if public reports are good then the box office numbers come unless you have a event film in they way which takes you out of theatres. Nil Battey Sannatta will do around 4.75 crore nett while Traffic around 3.50 crore nett. .
Q. What is the affect of Fan after average response of Dilwale on the career of Shahrukh Khan as it is worst performing film for a long time? Ans. Nothing. The commercial event film with him released on the right day will still be expected to go over 35 or 40 crore nett on day one. Fan hit 19 crore on day one which is simply a far too bigger number for such a film. Content for a limited audience must also get a limited initial otherwise fall is inevitable as majority of the audience rejects it. 1)The film opened big for this kind of film. 2)The film opened ‘too big’ for this kind of film and it actually shouldn’t have done this because then there is more rejection. 3)In any case nothing to see here. No problems for SRK. It was another week when the initial honors went to a Hollywood release as X Men – Apocalypse opened better than the Hindi release Sarabjit. The opening of the Hollywood release is not great as it opened to just about decent collections but still that is enough to beat Sarabjit. The opening of Sarabjit is low at around 15%. The content of the film seems to be for North India but though the opening there was better than other places, it was still not upto the mark. The opening in both Punjab and Delhi was not uto the mark but if the film is too pick up these areas can go up fast as is dominated by high end multiplexes. Sarabjit will have an open field if it can score on word of mouth as holdovers are coming to the end of their runs and though the competition of X Men – Apocalypse has opened better the gap can be made up easily over weekend if Sarabjit has the reports. Delhi and Punjab will have to pick up fast if the film is to have chance at the boxoffice. The film has further problems in Punjab that it is facing competition from a Punjabi film Kaptaan and although Kaptaan has also just opened to average numbers it dominates the screen sapce in Punjab. Film-maker Sanjay Leela Bhansali is fond of both her favourites Deepika Padukone and Priyanka Chopra. However, after giving two blockbusters with Deepika Padukone, it seems Sanjay Leela Bhansali has now opted for the ‘Desi Girl’ Priyanka Chopra for his new project which is based on ‘Padmavati’. This is not mine. There is something which is more controversial and I sanitised. And center Modi … All Single. Shah Rukh Khan is playing a dwarf in Aanand L Rai’s next and this news is already rocking the internet. Now, the latest reports say that Alia Bhatt or Sonam Kapoor might star opposite Shah Rukh. This film has two heroines opposite SRK. With one being Katrina Kaif, the makers are finalising between Sonam Kapoor and Alia Bhatt for the second heroine. The makers have discussed with both the actresses for the role. Aanand Rai has refused to reveal the details but he confirmed that his next with Shah Rukh is a two heroine project and there are actors in his mind for that. But, it’s too early to reveal about that. The news will be out in a months time and it’ll be a big surprise for the audience. This untitled film is targeting its release date around Christmas 2017. Keep following this space for the latest update on the same. Sarabjit has fared poorly on its opening day with collections of 2.75-3 crore nett. The film is a little better in Delhi and East Punjab but even there opening day collections are well below the mark. The collections in places like Maharashtra, Nizam / Andhra and CP Berar were a disaster. Nizam / Andhra had a big Telugu release but it would not have made much difference even if it was not there. The Hollywood release X men – Apocalypse has also not fared well. The opening was not that good though better than Sarabjit and it has not improved much in the evening. The film will be around the 4 crore nett mark on its first day. The good run of Hollywood big budget films seems to have ended abruptly after the phenomenal Jungle Book and Captain America – Civil and Batman v Superman also doing pretty well. X Men – Apocalypse is a an action super hero so its likely to be front loaded and will find it tough going after the weekend. .
Sarabjit also has an uphill task as it has to grow at least 50% on Saturday. This is hard but the big Saturday growth has happened with content films in the recent past so its fate will probably be decided by the Saturday number. Sarabjit had a poor first day at the box office as it grossed 3 crore nett. The collections were a bit better in the North but still low. Both Delhi city and East Punjab grossed 45 lakhs each and they should have been much better as the film held more appeal for the area. Mumbai fared very poorly with collections around 75 lakhs nett. The film has raesonable costs so if it can jump around 50% on saturday and get to 4.50 crore nett it still can have a decent run till the release of Housefull 3. The film was hit by screen apace in East Punjab due to the release of Punjabi biggie Kaptaan though that film has not really done well it cornered the screens in the circuit. The Hollywood release X Men – Apocalypse also did low business on day one grossing 4.25 crore nett which is half the collections of films like Batman v Superman and Captain America. The film will find it tough going at the box office. Megastar Amitabh Bachchan fulfilled a cancer patient’s wish by celebrating her birthday. “Hardika, a young girl suffers from cancer and has a wish to meet me… I comply and we meet. 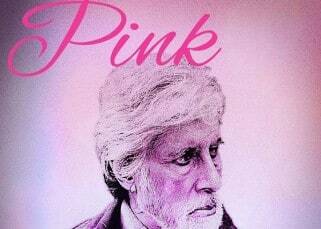 She is pretty and gentle and moves with an oxygen container,” Amitabh posted on his blog. 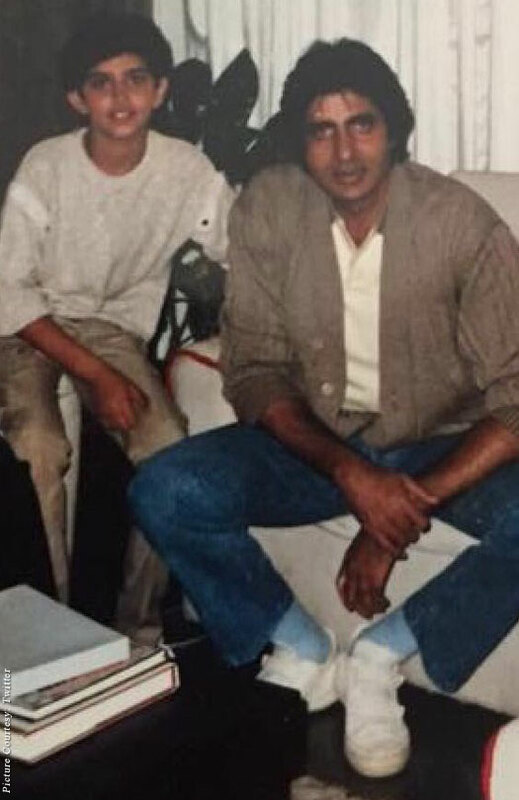 The “Piku” actor also shared a few photographs of himself with Hardika, in which they can be seen a cutting cake together. “It is most difficult to confront the innocence of pain… And lost hope. “But a brave front, a desire fulfilled a wish completed and a smile for a special day in her life – her birthday makes that moment eternal,” Amitabh added. On the film front, Amitabh will next be seen in “TE3N”. Directed by Ribhu Dasgupta, the film, which also stars Nawazuddin Siddiqui and Vidya Balan, is slated to release on June 10. Reports about Abhishek Bachchan ignoring and embarrassing Wife Aishwarya at the red carpet made headlines yesterday. Reportedly, the whole Bachchan and Rai Family had been to support their daughter Aishwarya at the premier of her film ‘Srabjit’. But, something unexpected took place at the event. After the entire family had posed for the group pictures, the photographers requested Abhi and Ash for couple clicks. Amidst all this, Abhishek had already made his way to the theatre along with his mom-in-law Brindya Rai. However, Aishwarya called him back in vain for the photo session. While Ash was persistent, Abhi was unwilling to pose as he felt the photographers wanted only his wife’s pictures. When we contacted sources close to the couple they revealed that there is nothing brewing between them. Their paradise is still blooming with love; there is no trouble at all. “Abhishek and Aishwarya are very secure people. Abhishek did not want to take the centre stage and felt that it was Aishwarya’s film and her moment at the red carpet. They were just there as Family to stand by her and her film,” said the source. Well, we hope the couple stay strong like they have been till now. after the annoying commentary the moment happens around 1:30min mark in this video. Pretty surprising and reeeeeally awkward moment. Ash’s look to Abhishek when he walked away was hilarious. I can be sympathetic to both Ash and Abhishek point of view though. Veteran actor Naseeruddin Shah, known for his strong performances in content-oriented films, says he is envious of actors like Nawazuddin Siddiqui, Manoj Bajpayee and Irrfan Khan as they are “so skilful”. The Padma Bhushan awardee, who has films like “Nishant”, “Aakrosh”, “Mandi” and “Jaane Bhi Do Yaaro” to his credit, says that our country has a “fantastic crop of actors”. “I am envious of them… Nawaz, Manoj Bajpayee, Irrfan Khan. They are so skilful. These actors… Arshad Warsi, Vijay Raaz are at par with the best actors in the world,” Naseeruddin, who was here to promote his forthcoming film “Waiting”, told IANS. “Nawazuddin Siddiqui is one of the finest actors I have ever seen and I envy him. I wish I was that good at his age. But it remains to be seen what our great film industry does with a talent like Nawaz. “We don’t know what it will make of him… with talents like Manoj and Kalki Koechlin. But I feel these guys have so much calibre that they will make an enduring mark,” he added. Asked if the actors he named can be called commercial actors as well? “We can call Nawazuddin a commercial actor too. He stole the limelight in ‘Bajrangi Bhaijaan’ so, why not. He is the only one who has done justice to both kind of movies. I was never able to. Om (Puri) was never able to, even Irrfan was never able to… to give that kind of a sparkling performance in a movie like ‘Kick’. He (Nawazuddin) stands alone,” the 66-year-old opined. “Waiting” is about the relationship between two people from different walks of life, who befriend each other in a hospital, while nursing their respective comatose spouses. The story of the film divulges into the themes of coping with grief and discovering hope. Produced by Priti Gupta and Manish Mundra under the banner of Ishka Films and Drishyam Films, “Waiting” is set to release on May 27. Sarabjit managed to show good gains on day two of 30-35% as business in North grew 50% plus in some centres while rest of the country also showed good growth. The problem is that growth had to be more due to low starting point. The film had to go to 4.50 crore nett or higher on Saturday to really give it a chance. Still all is not lost yet but Sunday will have to be up 40-50% now. The first two day business of Sarabjit is as follows. X Men – Apocalypse could not do much on Saturday with limited growth of 10%. The film won’t be doing much in the Indian market as the opening was too low for a big action film. The first two day business is as follows. IMO, there is more potential with a PK sequel than 3 Idiots. I will admit that I loved PK way more than 3 Idiots. Sarabjit had a poor weekend despite some decent growth over the weekend. Due to a dull initial the growth had to be more so even though the trend is reasonable the numbers are still very poor. The first weekend business of Sarabjit is as follows. The film may hold over the weekdays but if it is to get a respectable total the Monday number has to be as good as Friday and that looks an impossible task. The best case looks holds at low levels. A few weeks back Captain America grossed over 40 crore nett in its first week but X Men is unlikely to get even close to that number in its lifetime business and Captain America did well but was not a great performer. The only plus is probably that it has collected more than the Hindi release Sarabjit but with X Men being an action film and Sarabjit a word of mouth film the gap should be more instead of only 3 crore. In the south of Pakistan, where Hindus have lately been kidnapped for ransom and their daughters forcibly converted to Islam, Hindu families have started fleeing to India in trains. As they waved to their relatives from train windows, possibly for the last time, many Hindu girls contorted their faces and wept. To the north, near an industrial city, policemen poured paint over Koranic verses inscribed on Ahmadi graves. This is because Ahmadis have no right to Koranic verses in Pakistan: the law classifies them as non-Muslims and the media regularly portrays them as treacherous deviants from the faith. Still higher up, in a scenic mountain valley, Shias were pulled out of buses, lined up and shot dead by gunmen who may or may not belong to one of Pakistan’s many banned sectarian outfits. And just two weeks ago, not far from the pristine capital, a mob of a hundred and fifty Muslims ran after a mentally handicapped, low-caste Christian girl, wanting to burn her alive for having held in her hand—this was the rumor in her neighborhood—a singed Islamic manual. In the rest of the country, the end of Ramadan was celebrated with the usual fanfare, show of color, and generosity of spirit. The hysterical synchronicity of these happenings is typical of the Pakistan encountered nowadays in the news. It is also Manto-esque, which is to say that it feels like it could have been imagined, in exactly these tones, with just such a flatly ironic counterpoint for an ending, more than fifty years ago by a man called Saadat Hassan Manto, the writer whose centennial is being marked this year in Lahore amid an unshakeable and vaguely shaming sense of déjà vu. In May, for instance, in a darkened auditorium in Lahore, two actors stood on a spotlit stage and read out Manto’s “Dekh Kabira Roya” (“Kabir Saw and Wept”), a story he wrote soon after Pakistan’s creation. It shows the medieval Indian poet Kabir, a sayer of contrary things, freakishly transplanted in the streets of a “newly independent state.” Kabir is still in the Indian subcontinent (people have castes here), though it is now the middle of the twentieth century (intellectuals are arguing about Stalin). All around him citizens are excitedly going about the implementation of new laws. Only Kabir is “grief-stricken”; he bursts into tears when he sees, on the top of a building, a desecrated statue of the Hindu goddess Lakshmi (it has been bound up in jute fiber because the religion in the new state forbids idolatry), and again when he hears a general urging his troops to “fight the enemy on empty stomachs.” Elsewhere in the new state, people are listening to sermons about the importance of beards and veils, while prostitutes with “ravaged and anxiety-ridden faces” ponder a new law that requires them to find husbands in thirty day. Recently, in an interview with IANS, when Kajol was asked, whether her kids, daughter Nysa and son Yug complain her about her absence at home, as she keeps busy with so many projects in hand. Indeed, no matter how old we grow; we all want our dear Moms to be our side always! Isn’t it? Later, the star apparently went through the script and suggested a few changes. Akshay Kumar and Siddharth Jadhav remained unavailable for comment. As a goodwill ambassador of Olympics this year, what will be your contribution? I want to create good vibes and cheer for them. Also, it’s a coincidence that I recently composed the music for Pele, a film on the Brazilian footballer. So, I would love to see a song from that film being performed at the Olympics. Any other international film in the offing? There might be a couple of things, but it’s too early to speak about it. I am finishing the music for Mohenjo-Daro now. Compared to South films, you work less in Bollywood. Is it deliberate? No proper movies came to me from Bollywood. The offers that I got were not compelling enough. Also, I was busy with the pre-production of my film, 99 Songs. You have just released the poster. When is the movie releasing? Next year. Also, the movie will not have 99 songs though it is called that (smiles). It’s like a fairy tale. No. Some movies get made in 12 years, some in 20 years! Movies should be made only when everything else is ready. Your music for the Tamil film, OK Kanmani, especially Mental Manadhil, was a chartbuster. Will the songs be retained in the Hindi remake OK Jaanu? Yes, those will be retained and we will also be adding some new songs in it. Are you happy with the way your music for Tamasha was received? Tamasha was slightly experimental — both in terms of the movie and the music. That’s what I love about it. I liked the way people received it. Some people loved the music, some hated it, but it was meant to be like that. Why did you opt out of composing for Aamir Khan’s film Secret Superstar? What happened was, we had started composing and everything, but around that time my studio (in Chennai) was flooded. My mind was very restless and at that time they had the shoot planned, so I couldn’t do it. Name one director you will make time for, no matter what? The last time I did that was for Danny Boyle (Slumdog Millionare). I was extremely busy at that point and I knew his musical tastes. If Danny comes here I will definitely do that, I like him a lot. How are the students who pass out from your music conservatory doing? Are you planning to open more branches? I don’t know yet. Even this is a miracle — composing and running this together. Opening more branches means more responsibility, more energy. I want to save my energy, and keep one base. It’s important. It’s more important to do it right, it’s not about replicating it. Are your children inclined towards music? I don’t know yet. Time will tell. You seem to be more involved in tour concerts. What do you enjoy about it? It’s a very rewarding experience. It gives a whole new meaning to being alive — when you see them smile, and are in harmony with 30,000 people. They have their own stories, and they are cheering, not because I am standing and singing, but because for them it’s a collection of their memories, journey of their lives — the ups and down that are reflected in these songs. It’s a fantastic feeling. Do you still get requests for Jai Ho (Slumdog Millionare) more than anything else? Abroad I do, because it is a big hit there. Jai Ho made a huge impact. However, recently in Malaysia, I did not perform Jai Ho. I also get a lot of requests for Dil Se (from Dil Se) It mostly depends on the place. In Vegas, somebody was asking for an unpopular Malayalam song, Mampoove (Yodha). You never know what a person’s listening to, the Internet is making it all possible. You have achieved everything. What drives you still? Being a bridge, getting the next generation educated, being instrumental in pushing our own artistes and amazing artistes from abroad to India. My family. They are my spiritual support. The film will finish with around 22.50 crore nett for the week and from there even if it somehow gets to 30 crore nett it will still be a poor fare as Hollywood big budget film should now be clearing 30 crore nett in a week. Sarabjit had a low collections on Monday with around 2 crore nett. The drop from Friday is okay as North India was pretty steady but the level of collections is far too low. The four day business of Sarabjit is as follows. The week should go to around 18.50 crore nett and it may get a second week run at low collections as the releases this week are pretty weak but even then a 25 crore nett lifetime is a best case scenario for the film. Despite the best collections coming in North India especially UP as it is tax free there now, they are still much lower than they should be. Sarabjit continued with low collections on Tuesday though it was steady. The five day business of Sarabjit is as follows. The first week is heading towards 19 crore nett. This is the same range as films like Rocky Handsone and Sanam Re and though the follow up business will be better than those films it hardly makes any difference to the final outcome of the film. The final business of the film will be in the 32 crore nett range which is similar to what the last Emraan Hashmi release Hamari Adhuri Kahani grossed. Fans were sad when they got the news that original cast of Hera Pheri 3 has been revised. Abhishek Bachchan replaced Akshay Kumar and John Abraham was added to the team! The second installment of Hera Pheri franchise was helmed by Neeraj Vohra and for the third part he brought the Dostana Jodi on board. But all efforts by the director went in vain, as John left to complete his first commitment, Rohit Dhawan’s action flick Dishoom! Also, recently Jr. B walked out from the film saying that it didn’t work out! According to the reports in a leading tabloid, after the two lead left the film came the original Raju a.k.a Akshay Kumar and Shyam a.k.a Suniel Shetty to rescue sinking ship (film)! Well, everyone is excited for sure but now as the original cast is back on board it’s time for double excitement! Just listening to this song….Illayraja and Hariharan at their best! Baaghi has seen low business in week three and four but is still the second biggest Hindi hit of 2016. The business of Baaghi till date is as follows. The final distributor share of the film will be more than bigger films of last year like Baby, Dil Dhadakne Do, Drishyam, Brothers and Singh Is Bling. The Jungle Book is the highest adjusted grossing Hollywood release in India. The top adjusted Hollywood grossers to present ticket rates are as follows. Apart from The Jungle Book all the others on the 2015 average ticket rate as 2016 still has long way to go. Adjusting Titanic to the 2016 rate will probably mean around 182-183 crore nett and The Jungle Book is looking at a 185 crore nett finish. In terms of raw box office nett collections there will be only eight Hindi films which have grossed more than The Jungle Book. Ajay Devgn recently released the poster of his upcoming film ‘Shivaay’, though he received positive response for the intriguing poster there were few who felt insulted. As per reports, a police complaint has been filed against Ajay Devgn in Tilak Marg Police Station, Delhi over the poster of his film Shivaay. In the complaint, he has been accused of allegedly hurting religious sentiments. The complaint further states that the poster of the movie shows Ajay climbing Lord Shiva’s figure with shoes on, which hurts the sentiments of the people having faith in Lord Shiva and Hinduism. This is exactly what recent Supreme Court judgment has done when they upheld anti defamation law. Don’t think Kamal has lost his mind to do the kind of role Akshay’s doing here, let alone in a Rajni film! I think Shankar tried to do the same.. when he offered Villain’s role to Amitabh in Robot 1.0 when even Rajnikanth said Shankar to not offer it to Amitabh. When Shankar reached Amitabh and narrated.. Amitabh called Rajnikanth and Rajni himself said sir please reject the role, its not worthy for you.. .then Amitabh suggested his good friend Danny will be a better fit for the role. Now, again trying to offer Kamal Hassan as villain is just sheer stupidity when they are rivals or parallels in the Tamil industry (if not the same stardom currently). Irrfan will be seen romancing Pakistani beauty Saba Qamar in director Saket Chaudhary’s film ‘Hindi Medium’, which is being jointly produced by Dinesh Vijan and Bhushan Kumar. It is a light-hearted romantic comedy about a couple from Chandni Chowk, who aspire to move into Delhi’s upper crust. The film is scheduled to roll in August this year.